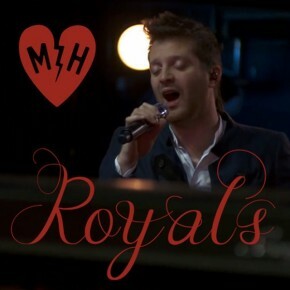 Comments Off on Mayer Hawthorne Covers "Royals"
VEVO started a music series over the summer called Unexpected Covers. If you haven’t heard about it, don’t worry. We hadn’t either until today. The music video site pairs artists with a set of songs to cover that span different genres. Their first project challenged synth pop band Passion Pit to take on the Fun! hit “Carry On” and a couple other radio mainstays. Neo soul singer Mayer Hawthorne steps up to the plate this time around for a swing at Lorde’s rebellious teen anthem “Royals”. The Michigan native keeps it smooth for a wavy r&b infused rendition. Put on your blue crushed velvet blazer and funky tortoise shell frames for this one, folks. Check out the video below!